Back in 2012, Trevor Gay of Dayton, Oh. had grown tired of the rat-race life of long commutes, constant burnt out, and maintaining a home. Seeking some asylum from the normalcy of big-living, he asked his fiance, Mary, if she could live tiny and they began building their new home "Heart Of It All House" right away! You can see the details of their tiny living on their website and their Instagram. We recently interviewed Trevor about the benefits of smaller living and how making the switch has changed his and his family's life for the better. I absolutely love ergonomics and efficiency. Everything is politely in close proximity, which saves us time and helps us stay organized, thus we end up spending more time relaxing or doing more of the things we love. 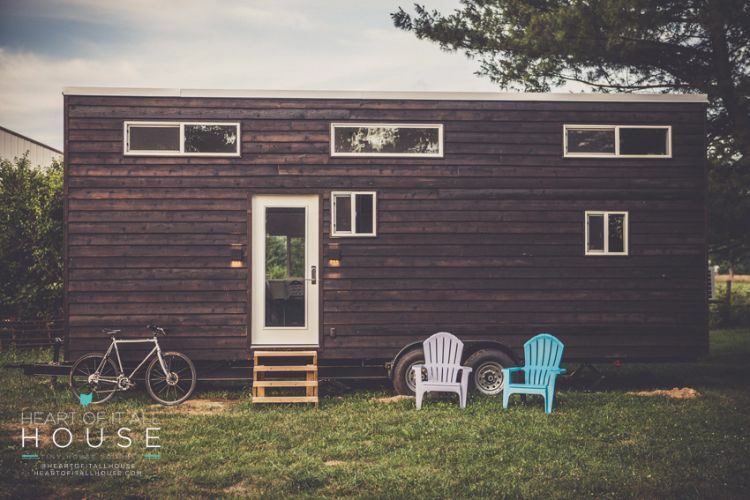 Were there any challenges you had to face when you transitioned to a tiny home? 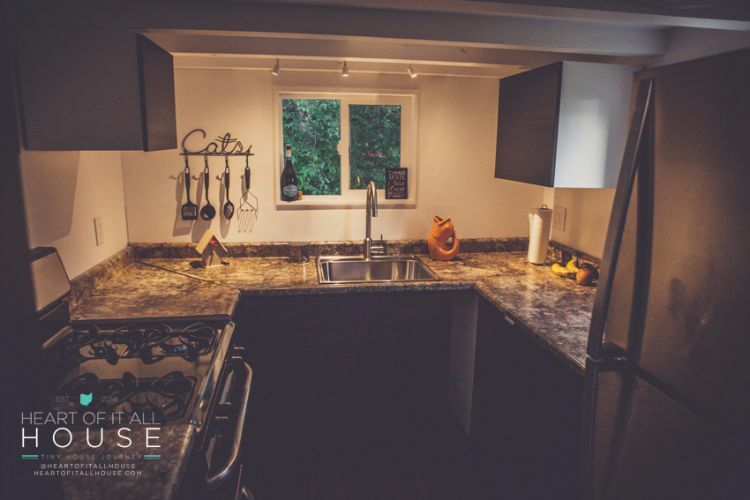 We were so focused on building and living "tiny" that if there were any challenges, they were trivial compared to what we had just accomplished in 6 months of actually building the house. 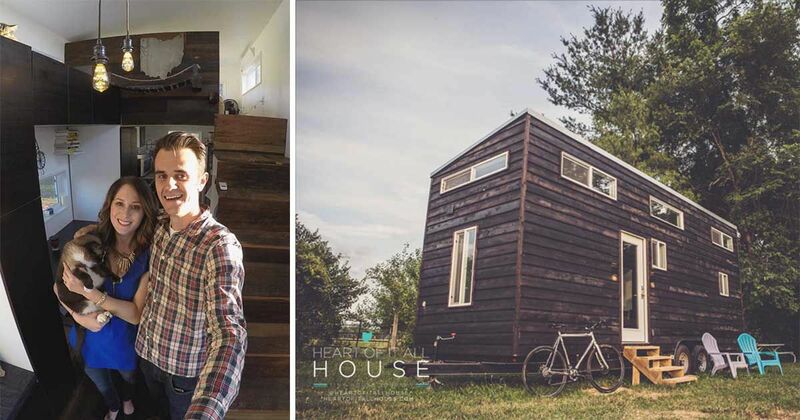 Wrapping up loose ends that didn't have to do with the tiny house were probably the toughest. For example, renting out our "normal" house and cleaning up a six-month long worksite were really our only "challenges." Would you say that living tiny has helped you financially? Living tiny has absolutely helped up financially. Especially once the tiny house is paid off, we'll really feel the positive effects of living tiny. Literally, everything is less expensive living tiny. We've traveled more, spent more time together as a couple, increased our savings account, started a new business, and recovered from a few outside unforeseen financial hits that would have been detrimental in our previous living situation. 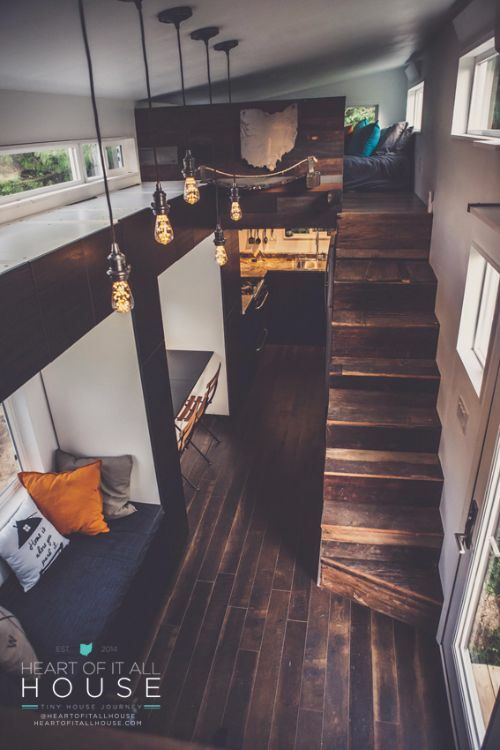 What advice would you have for someone considering moving into a tiny home? The most important advice to anyone considering building or moving into a tiny house is to be completely honest with yourself and anyone living with you (kids and pets included) about what you really and truly want in life. Tiny houses should only keep the most important things and should compliment your utmost values and goals. Going tiny doesn't mean giving up everything to live a lesser life, it means trimming the fat to focus on what really matters. The layout and belongings of your house should cause less stress and more joy, and not the opposite. Choose a layout and design that completely speaks to you and your needs. Tiny houses are so much more personal than larger living. Make it count! What have you done yourself and what was done by professionals? Any recommendations in this regard? We did 90% of the work on our tiny house. Thankfully, my father is a wealth of knowledge and experience [and made] sure our house was safe and to code (we built to HUD code anywhere possible). The only things we didn't do were the spray foam insulation, metal roofing, and a friend of ours painted our interior with a spray gun to help hide the plywood imperfections. Taking on the build ourselves was ultimately one of the most rewarding projects we've ever had. It was especially great doing something so important and dear to us side by side with our friends and family members. However, taking on the build can be stressful, takes much longer, and causes relationship strains. If you have little to no experience building but want to put your own mark on the build, consider buying a pre-built "shell" where most of the important work is already finished. It's a fun and economical option to taking on the entire build yourself. We live extremely busy lives. Between my travel, work, and business, and Mary's rigorous school and work schedule, we usually don't spend much time at home. It's been exceptionally surprising to find the amount of extra time that we have now that we're in the tiny house. 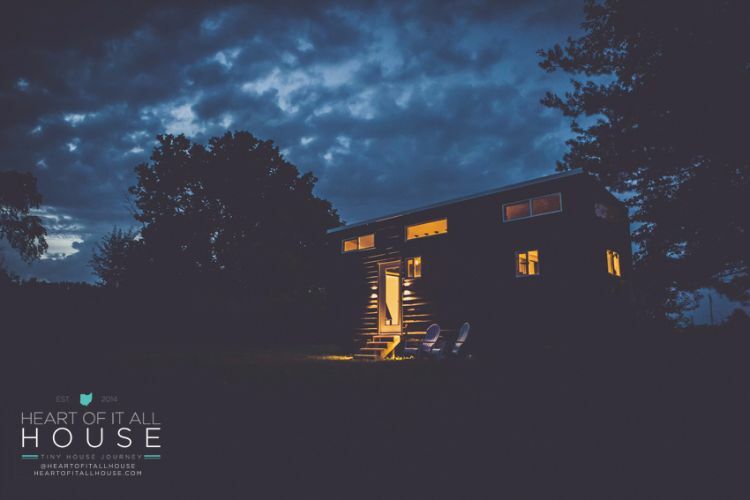 There's less to do in the tiny house (in a good way), therefore we use our newfound extra time to relax, recover, or to go out and do even more. You truly can get out and do more of what you love from living tiny.